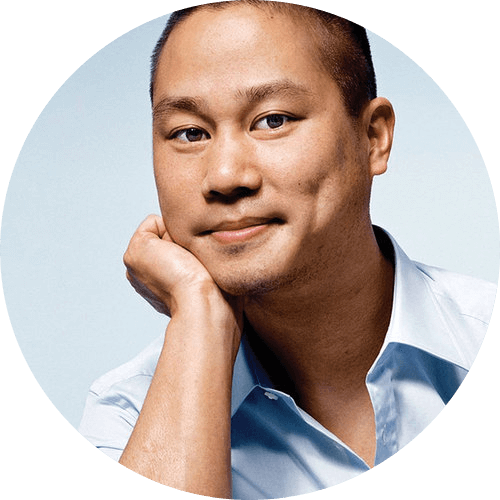 He then joined Zappos as an advisor and investor, and eventually became CEO, where he helped Zappos grow from almost no sales to over $1 billion in gross merchandise sales annually, while simultaneously making Fortune Magazine's annual "Best Companies to Work For" list. In November 2009, Zappos was acquired by Amazon.com in a deal valued at $1.2 billion on the day of closing. Tony's first book, "Delivering Happiness", was published on June 7, 2010, and outlines his path from starting a worm farm to life at Zappos. Tony demonstrates how a very different kind of corporate culture is a powerful model for achieving success and happiness. "Delivering Happiness", debuted at #1 on the New York Times Bestseller list. In addition to his responsibilities as CEO of Zappos.com, Tony is leading the "Downtown Project," a group committed to transforming downtown Las Vegas into the most community-focused large city in the world. This transformation includes the relocation of the Zappos.com offices from Henderson, Nevada to what was the old City Hall in downtown Las Vegas.